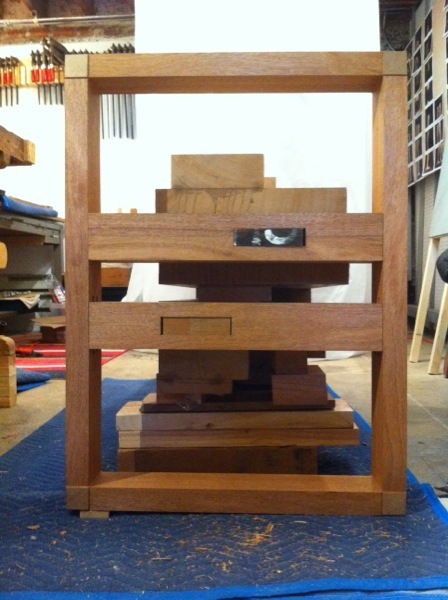 I'm in the process of fitting the figure and base pedestal together now. It's exciting to get these things joined up and see how they'll look. I've almost made all the toes. Can't wait to get this thing standing up on its own. 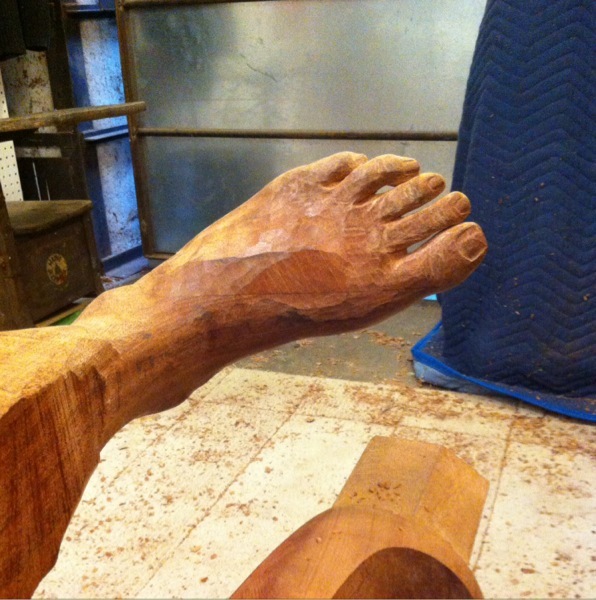 It was challenging work placing the ankle of this foot just right, but having worked that out I'm making good time carving the toes. I expect that in another week or two I'll have this foot all detailed and ready. The Cabriole leg is revealing nicely. 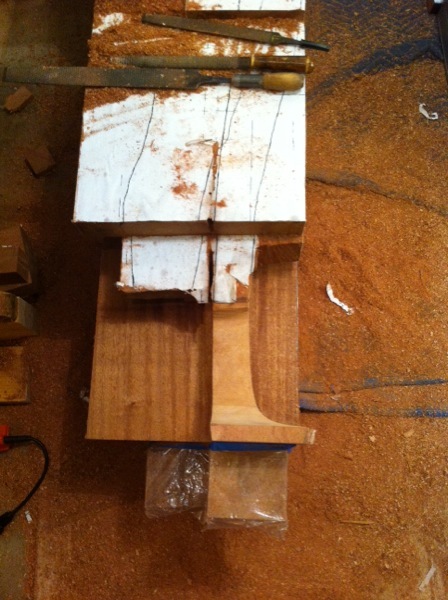 Pretty soon I'll flip this block over and begin shaping the left foot too. I'm shaping the feet while I apply the finish to the pedestal top, that way I'll be able to glue the two parts together in their finished form, damage-free. All those hours learning how to flatten a board by hand back in grad school are paying off as I smooth and square these large tenons below the feet of my sculpture. 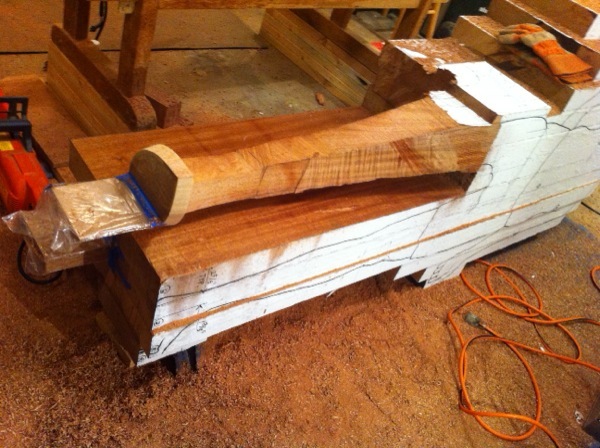 Large mortise joints are next! I've made a big block of wood, and I can't wait to get started shaping it into a figure. But first I will make its pedestal so I can stand it up. 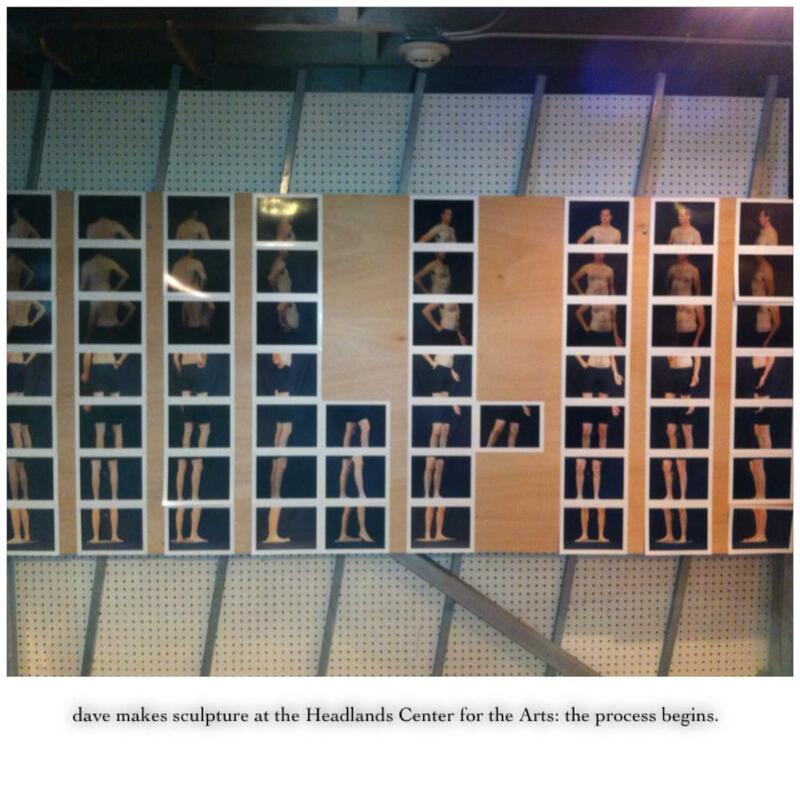 Also, the Open House at Headlands Center was a nice event. Thanks to everyone who came out to visit my studio. While I've still got more gluing up to do, I thought it would be worth showing just how big this thing is getting. I think it's going to be nearly a gallon of glue by the time I'm done. 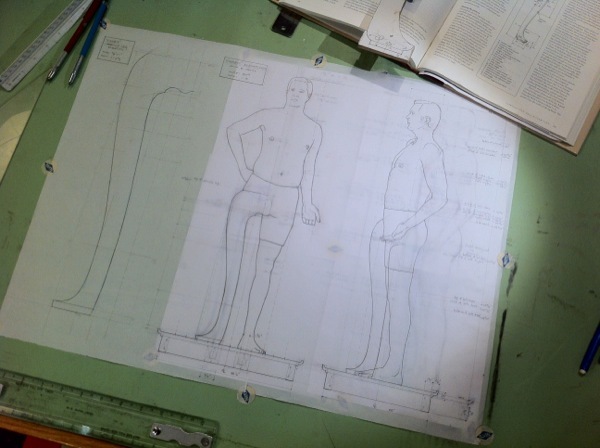 After much milling and much gluing [left in the photo], I have arrived at the point where I can layout the figure of my sculpture [right in the photo]. I'm ready for the next phase of milling and gluing in which I assemble the full figure. If you squint you can see the shape of a body here. My wood has been delivered to the shop I'm using to mill up the wood for my sculpture. What you see here is 219 board-feet by length, or 679 pounds by weight of lovely, thick African Mahogany. These drawings will tell me how much mahogany I'll need to buy and where to put it. It's gonna be big.